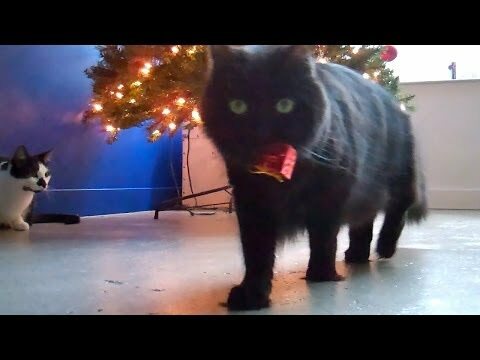 There are 2 cat videos tagged with tree. Being a cat must be wonderful. You get to sleep all day, you can climb everything in the house, and if you feel like tampering with the ornaments on the Christmas tree, you can go right ahead. 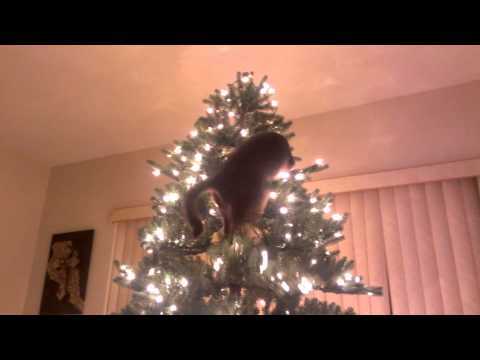 It is this sense of entitlement which has put this kitty on the naughty list for this Christmas season. But never fret, there’s always next year! In this video we see Sesshomaru the cat allowing his nosiness to get the best of him. You know the old saying, “curiosity killed the cat.” Well, luckily, no cats were harmed in the making of this video. Sesshomaru’s family just put up this beautiful Christmas tree, and how better to christen it then to climb all the way up until it falls over. Hopefully our furry friend learned a lesson.